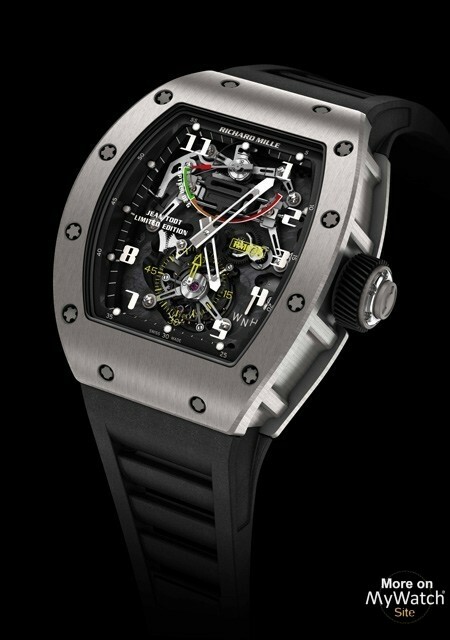 Price request for RM 036 Capteur de G Tourbillon Jean Todt Limited EditionRef. 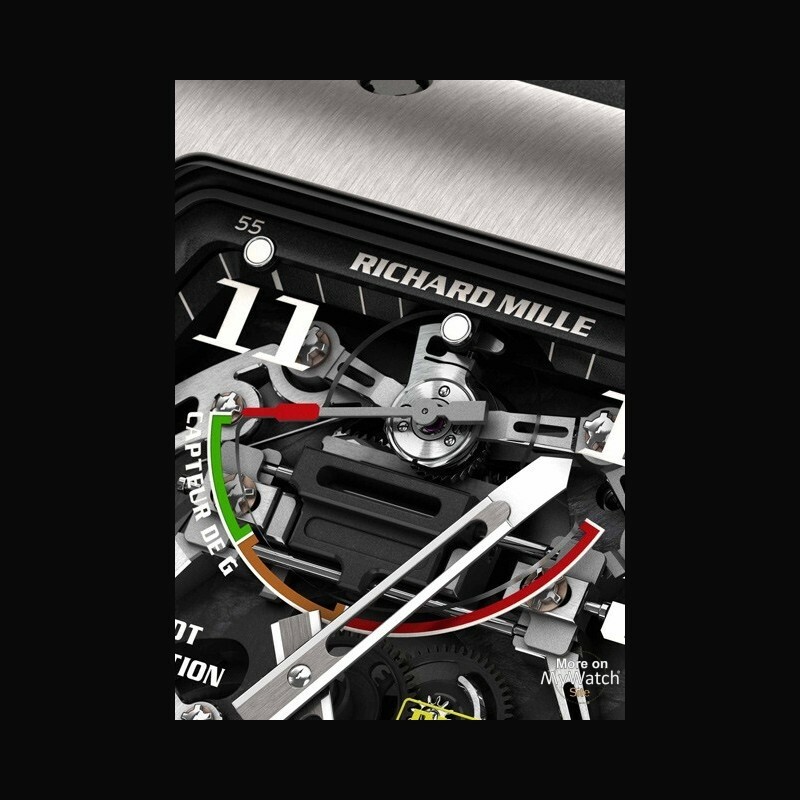 The G-sensor system was developed and patented by Renaud Papi exclusively for Richard Mille, and translates the movement of a small internal mechanism to an indicator, thereby enabling the wearer to visualise the forces. 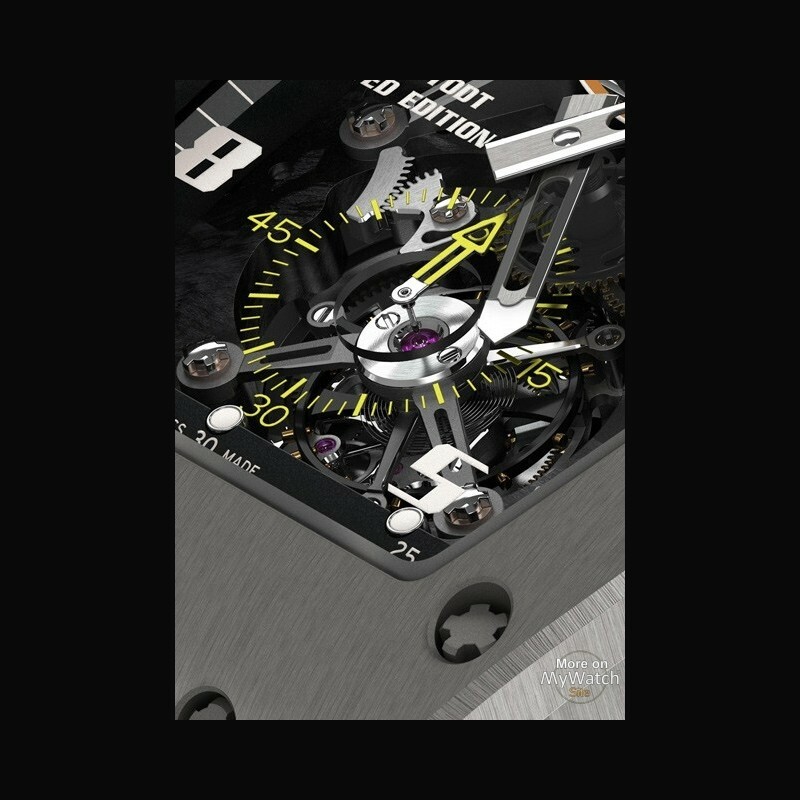 Assembled directly on the baseplate, this complex mechanism was designed to visually display the number of G’s accumulated by the wearer during rapid decelerations. 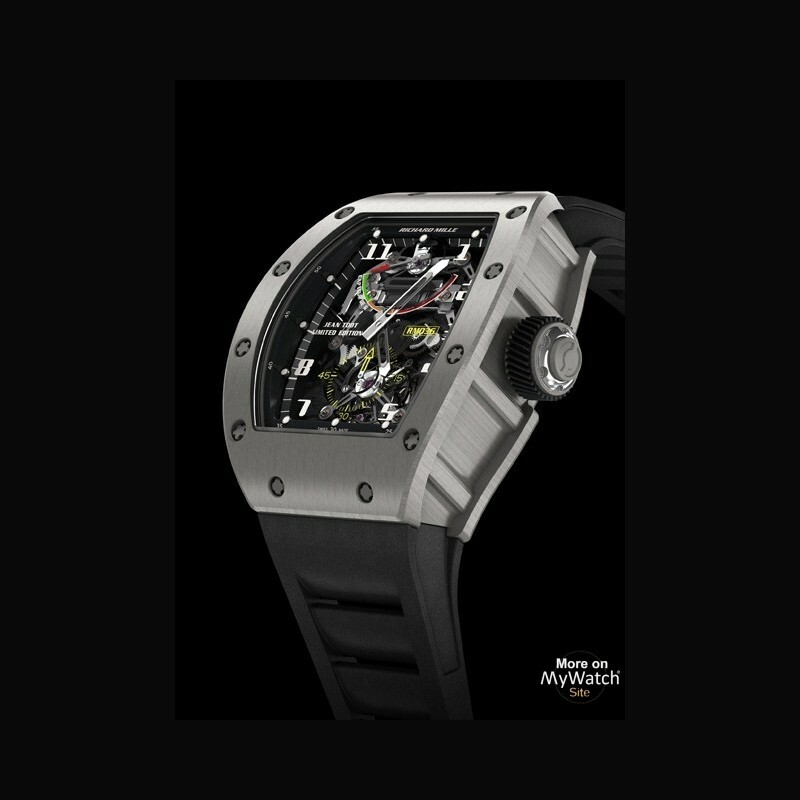 Composed of over 50 parts and measuring a mere 17mm, the RM 036’s G-sensor can withstand decelerations of several tens of G’s. 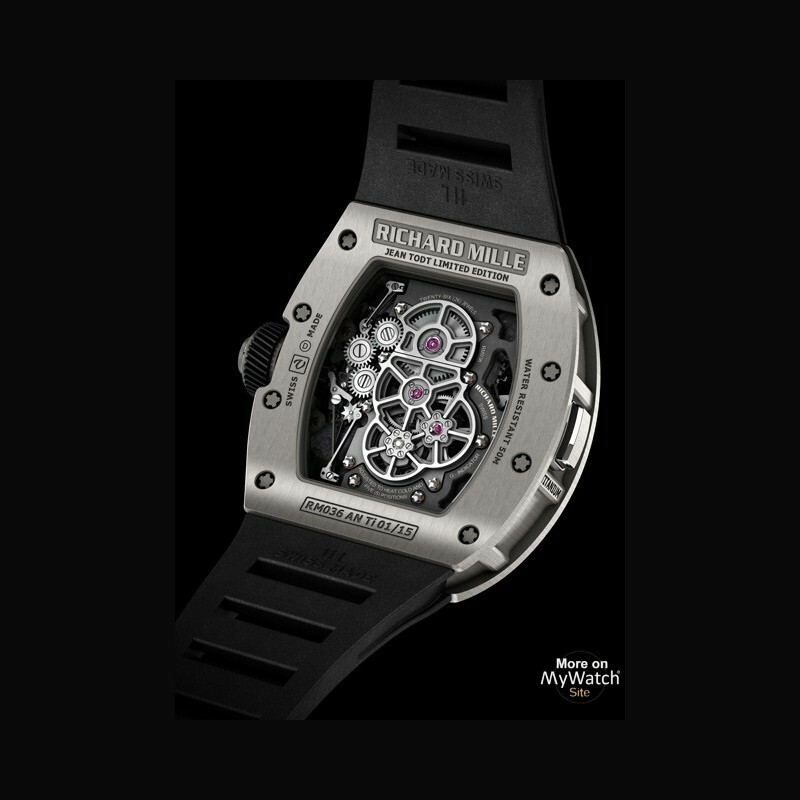 Needless to say, the movement is also characterised by its unequivocal robustness. Another unique feature of the RM 036 is the scale located at 12 o’clock, whose needle indicates whether the deceleration is safe (green zone) or critical (red zone) for the driver. A push-piece at 9 o’clock quickly resets it to zero. 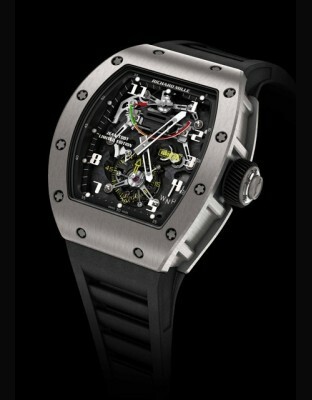 The RM 036 will be officially presented on 7th December at the FIA awards ceremony in Istanbul. 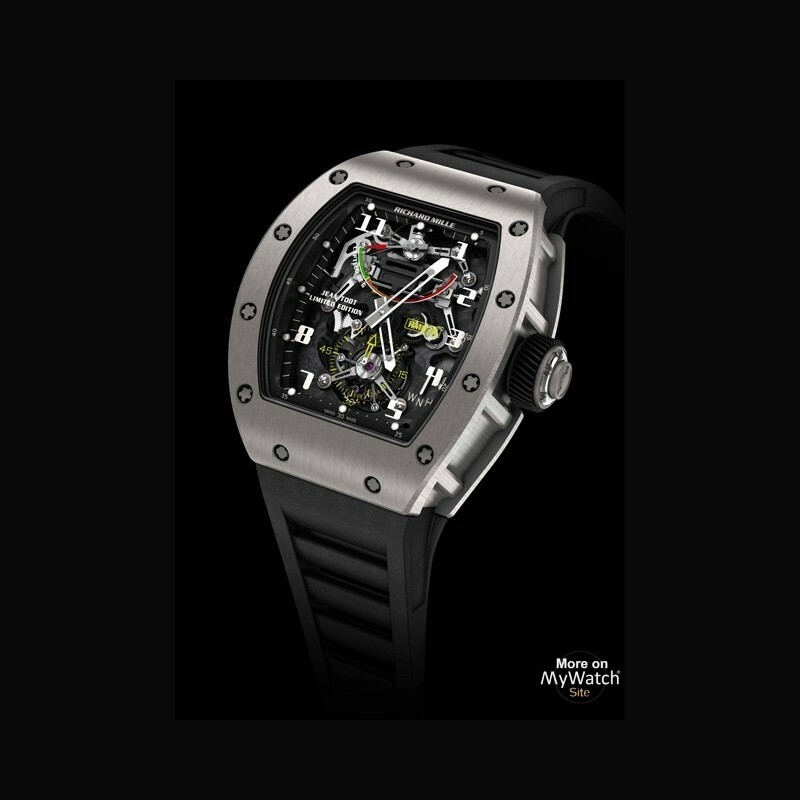 Jean Todt will donate the profits from the sale of this exceptional timepiece to two key initiatives close to his heart: the global campaign for road safety as well as the ICM Brain and Spine Institute, which he cofounded.